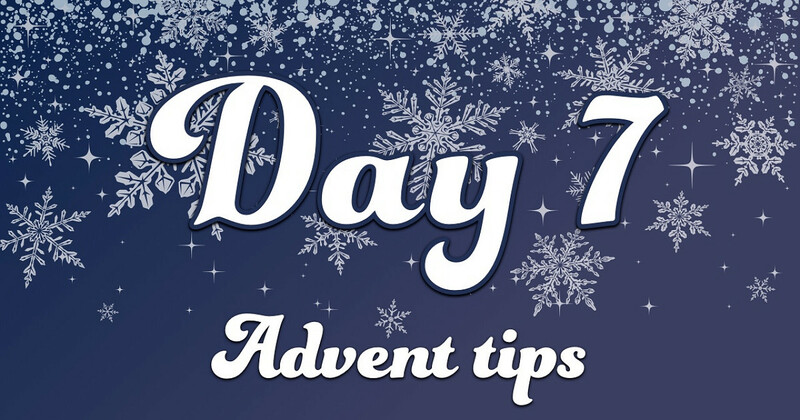 Advent day 7: With so many things to think about up on stage, it can be easy to get lost in the words you’re saying and not think about how to present yourself as well as your content. 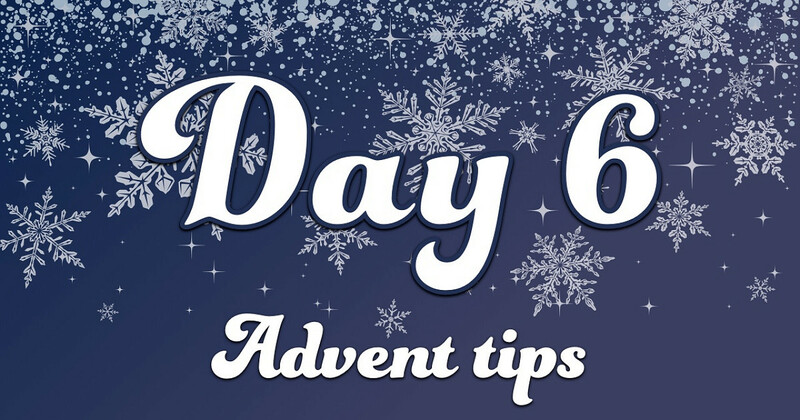 Advent day 6: I am very keen on reducing the number of decisions I have to make when preparing to give a talk. Presenting can be a highly stressful event, and the fewer things that you need to worry about, and potentially forget while under stress, the better. In order to remove the need to worry about what I need for my talk I always bring the same things with me to the stage. 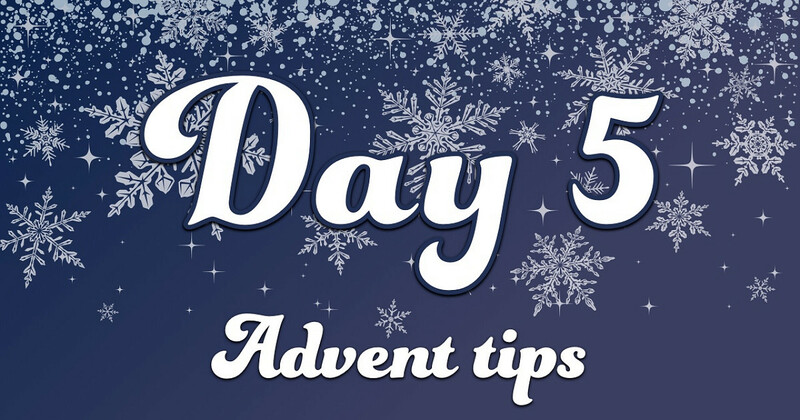 Advent day 5: One common reason to even give a presentation in the first place is to pitch new ideas to the audience. Hopefully what you’ll be saying offers a new concept or approach that they were previously unfamiliar with. If all goes well, the audience will take the idea away and adopt it themselves. Advent day 4: The questions that people ask after your talk can be a goldmine to help you improve that presentation and write new ones. 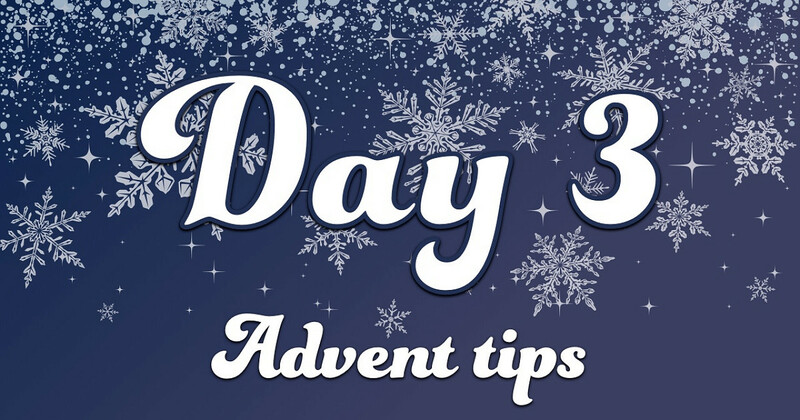 Advent day 3: Pacing a presentation is something that we’ve all struggled with at some point in our careers. Whether it’s because you’re working with new material, or perhaps you tend to rush or even waffle when you’re nervous, what was once a carefully timed presentation can descend into a big mess. 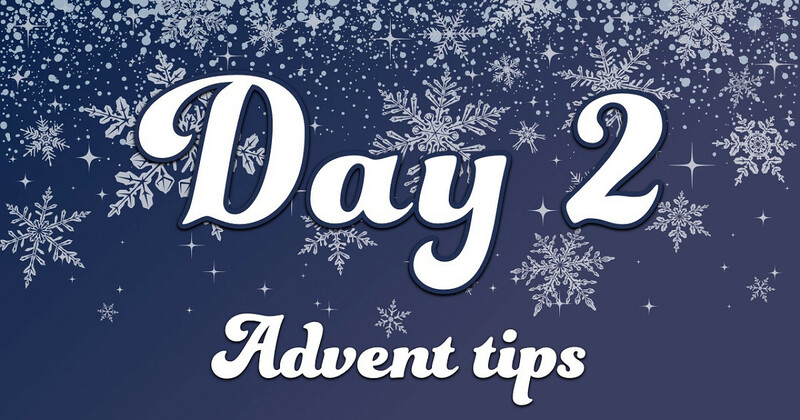 Advent day 2: Gaining experience in public speaking can feel like a catch-22 situation. Event organisers want to bank on presenters with a good track record in order to make sure their event isn’t a flop. Big events aren’t likely to take a chance on an inexperienced speaker, and as a presenter, you probably don’t want to be learning your craft on such a public stage. 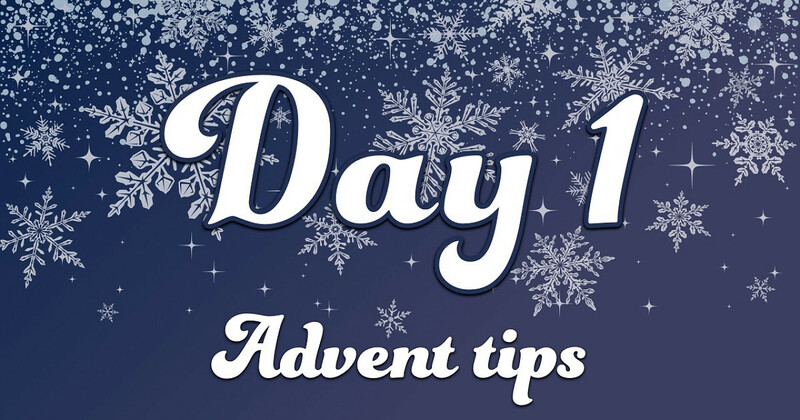 Advent day 1: Provided you’re not the opening keynote speaker for an event, chances are that they’ll be someone else presenting on the stage before you do. As much as you might want to hide away backstage and busy yourself with making insignificant tweaks to your slidedeck, take the time out and visit the room. 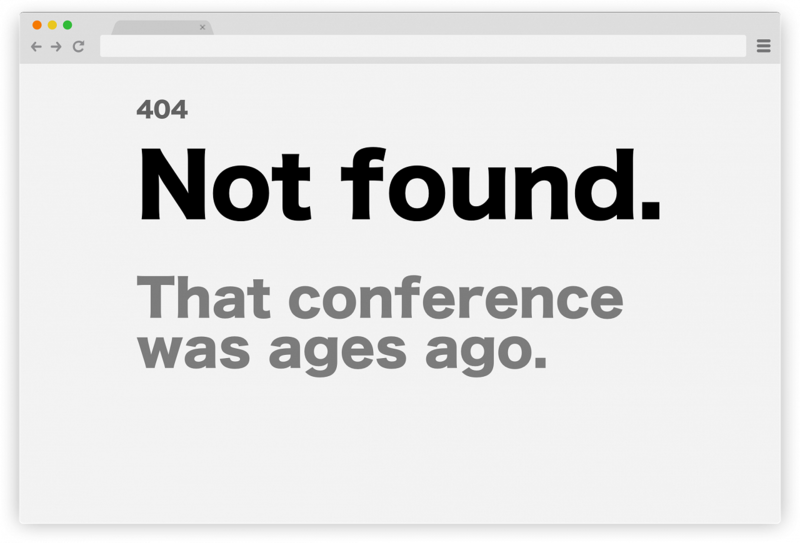 Ask any public speaker, and given the opportunity to mull it over for a moment, they’ll agree that conference websites can be immensely frustrating. You don’t keep maintaining sales tools for something you no longer sell, and so if the event isn’t to be repeated, the site just gets left and is eventually switched off. Pretty soon, any evidence that the event ever occurred is lost from the web entirely. I do a lot of my writing in Markdown format, including structuring presentation outlines that way before I start building my slides. 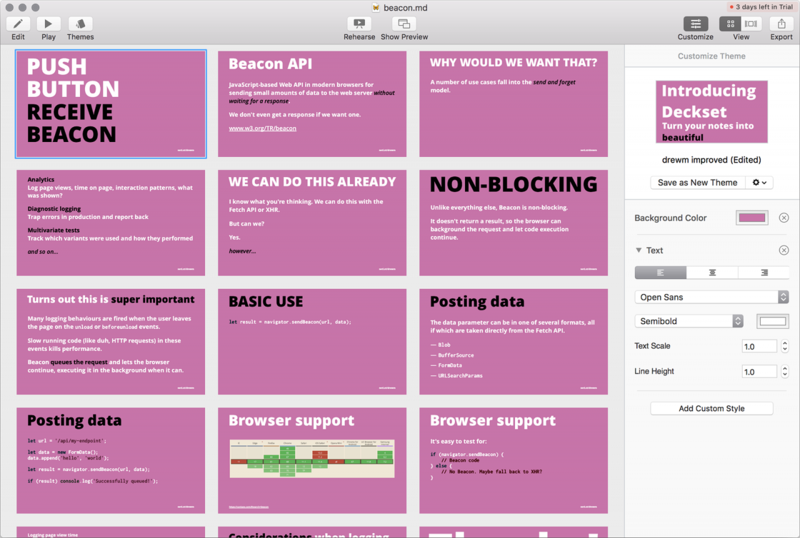 As such, the concept of a presentation tool that builds a deck based directly on a Markdown file always sounded appealing to me. How much time could be saved laboriously producing slides if they could be automatically generated from my outline? 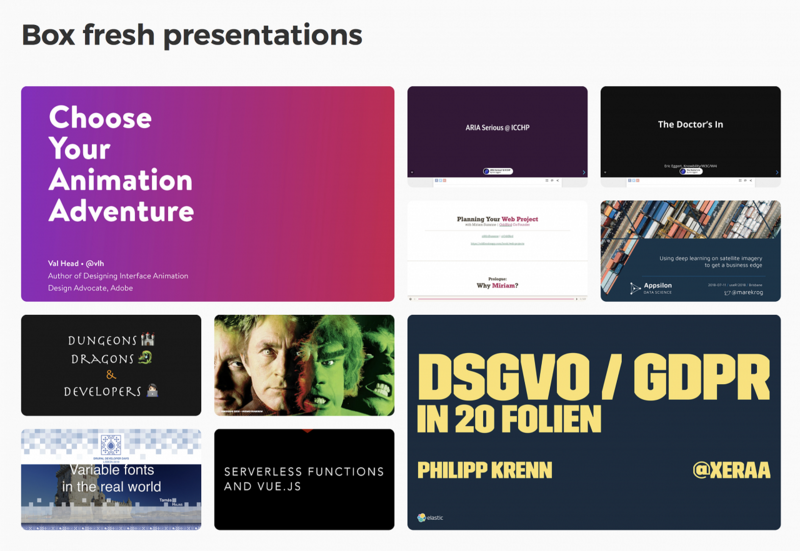 This is the blog post from Notist, a site for public speakers to share slides and build their speaking portfolio.